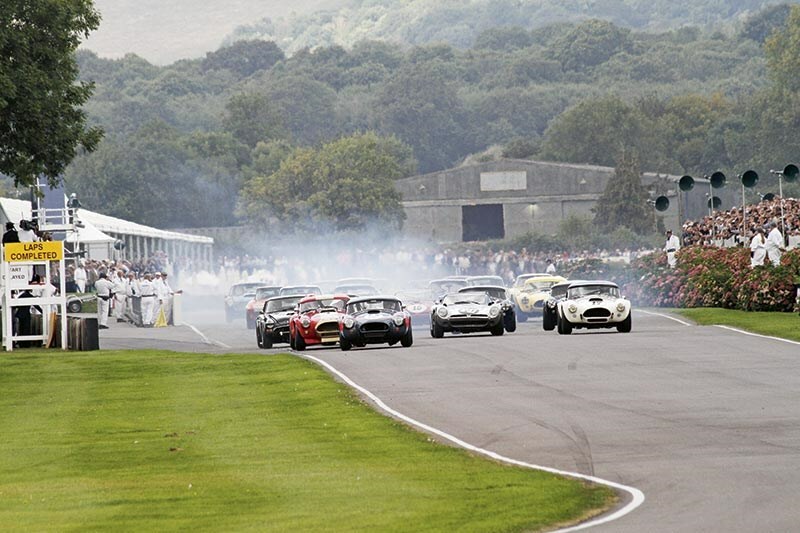 The formula for Goodwood’s Revival weekend festival of historic motor racing just doesn’t get old. 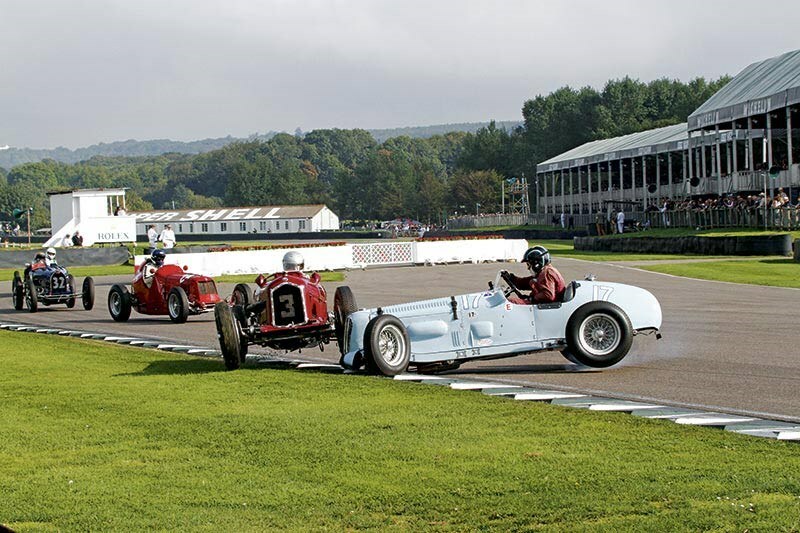 With track parades to celebrate anniversaries of iconic cars and drivers, flying displays by historic aircraft as well as a wide spread of events for many categories of historic racing cars, giving the old ‘uns a good leg-stretcher has proven a big crowd-pleaser. Two charismatic racing models celebrated their 60th anniversary this year, the Maserati 250F and the Jaguar D-Type, and the weekend saw high-speed parades with many examples of both vehicles taking part. 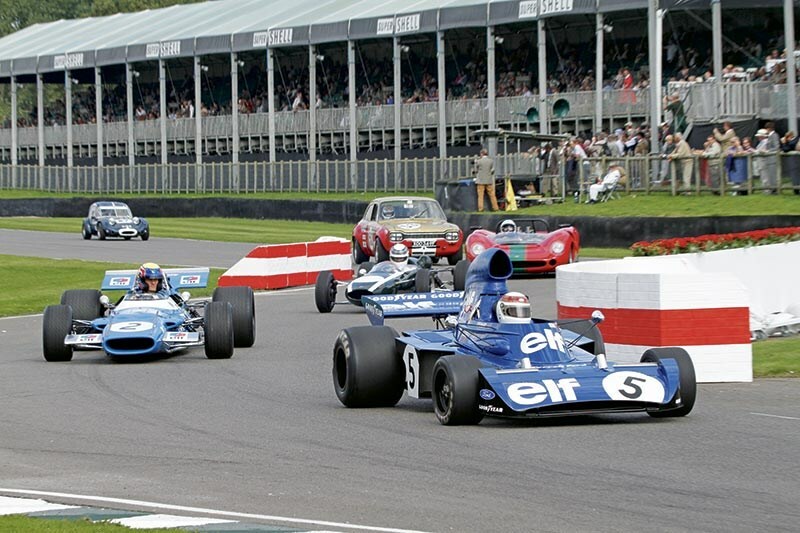 The Revival always attracted some star talent and no less a champion than Sir Jackie Stewart was the toast of this year’s event, celebrating 50 years since he first eased himself into a single-seater racing car. By happy coincidence, it was here at Goodwood back in March of 1964, when Ken Tyrrell invited Stewart for a trial in Tyrrell’s F3 Cooper-BMC T72. This career-forming trial saw Stewart racing in F1 within a year and he was reunited with that same T72 during Friday’s parade, moving up to the Tyrrell 006 for Saturday and then, on Sunday, the Matra MS80 in which he claimed his first World championship in 1969. Mark Webber gave the Matra MS80 a thorough shakedown on Saturday. History was made in the skies above Goodwood too, with the last two remaining airworthy WWII Avro Lancaster bombers flying together, flanked by Spitfires and Hurricanes. The UK-based Lanc is a familiar fixture at the Revival, being joined this time round by its Canadian-based counterpart that has spent much of the summer in the UK. Despite their best efforts, the aircraft couldn’t hope to overshadow the main attraction which has always been the pre-1966 historic race cars. The paddocks were crammed with priceless metal, with virtually unrestricted public access. In one direction were ERAs types A, B and C alongside Alfa Romeo Tipo Bs and 308C. 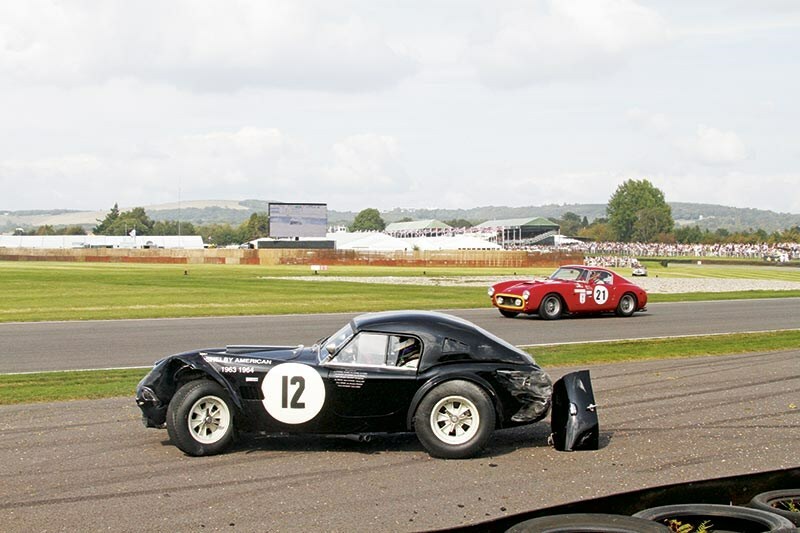 Nearby were the TT contenders; Cobras, lightweight E-Types, Ferrari 250 GTOs etc. As is the norm at the Revival, contemporary dress comprised jackets and ties, or even cravats for the gentlemen while for the ladies, there were flared skirts, fur stoles and mini-skirts. Fortunately the weather played ball, with a whole weekend of clear skies. The racing itself was hotly contested. Saturday’s opening race saw Mark Gillies take his almost customary win in the 1934 ERA A-Type R3A from Calum Lockie’s Maserati 6CM. During this race, Richard Last spun his Parnell MG into the path of Stephen Rettenmaier’s Alfa Tipo B which was launched towards the Armco right in front of my camera. The two cars were badly mangled, but both drivers climbed out unhurt. 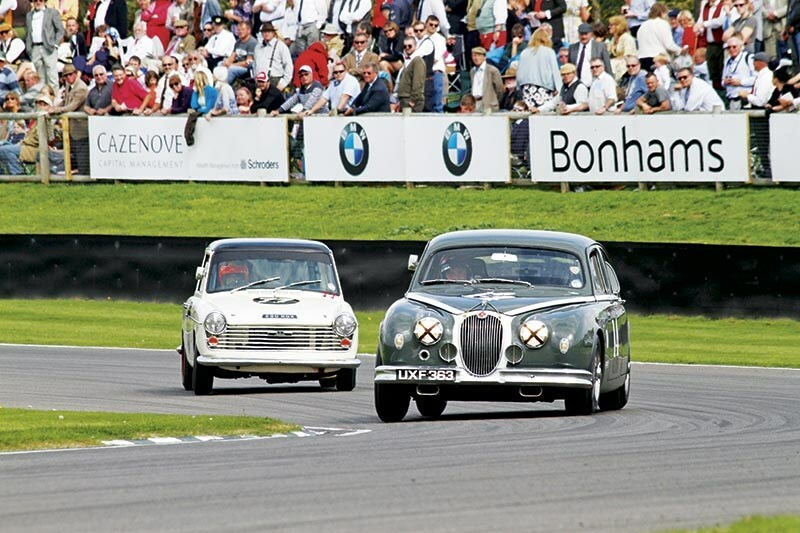 The two-part St. Mary’s Trophy for saloons was reserved for cars racing between 1950 and 1959. Part One, for celebrity drivers, was as hard-fought as ever. Victory here went to Anthony Reid in the Jaguar Mk 1, just ahead of Emanuele Pirro, who put up a spirited drive in an Alfa Romeo Giulietta Ti, finishing 0.4 secs ahead of Andrew Jordan’s Austin A40. Part Two was just as close at the front with Mark Jordan in the Austin A40 taking the flag 1.3 secs ahead of Justin Law in Anthony Reid’s winning Jaguar Mk 1. Grant Williams rounded out the minor placings in the Mk 1 Jaguar that had landed Derek Bell with reliability issues on Saturday. The combined results gave victory to the Reid / Law Jaguar Mk 1 less than half a second clear of the Jordans’ A40. 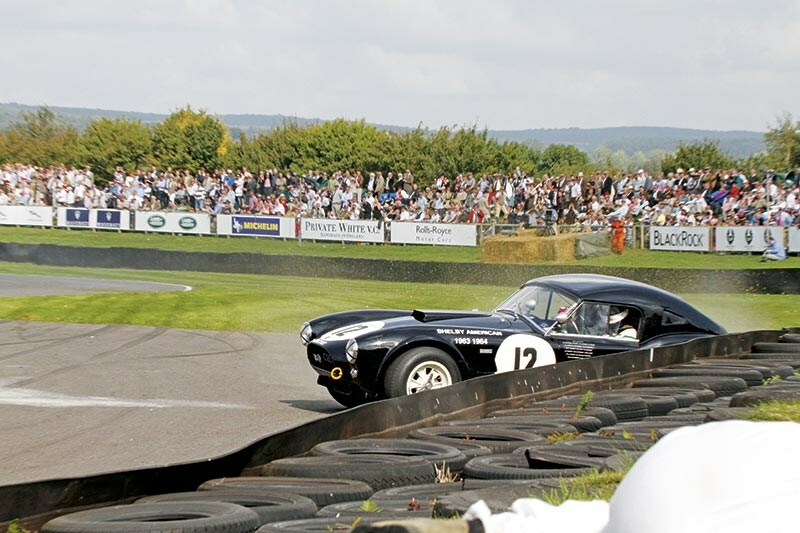 New on the race program this year was the Shelby Cup for American saloons to celebrate 50 years of the small block V8. The field comprised mostly Ford Mustangs and Falcons with a smattering of Plymouths, Mercurys and Dodges. The 45 minute race was for two drivers, with the pits getting rammed when teams opted to make their driver change during an early safety car spell. This broke up a four-car battle for the lead, and the Nikki Faulkner and Mike Gardiner Ford Falcon Sprint came home a ‘relatively’ easy winner from Mat Jackson and Henry Mann’s Mustang. Emanuele Pirro had another epic drive in the Mercury Comet Cyclone shared with Roger Wills, just holding off the Halls and Minshaw Falcon. In the Whitsun Trophy for big bangers, Chris Goodwin in his 1966 McLaren M1B ran away from the pack to beat David Hart’s Lola T70 Spyder by over 20 seconds. Roger Wills took his Lotus-Climax 16 to victory in the Richmond Trophy for front-engined F1 cars of 1954 to 1960. 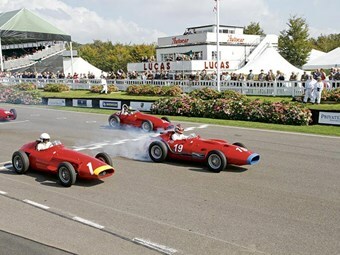 Many of the Maserati 250Fs that had been in the parades over the previous days raced in this event. Tony Wood claimed a close second place in his 250F, this being the smaller and lighter Tecnica Meccanica Maserati 250F, the last ever built. 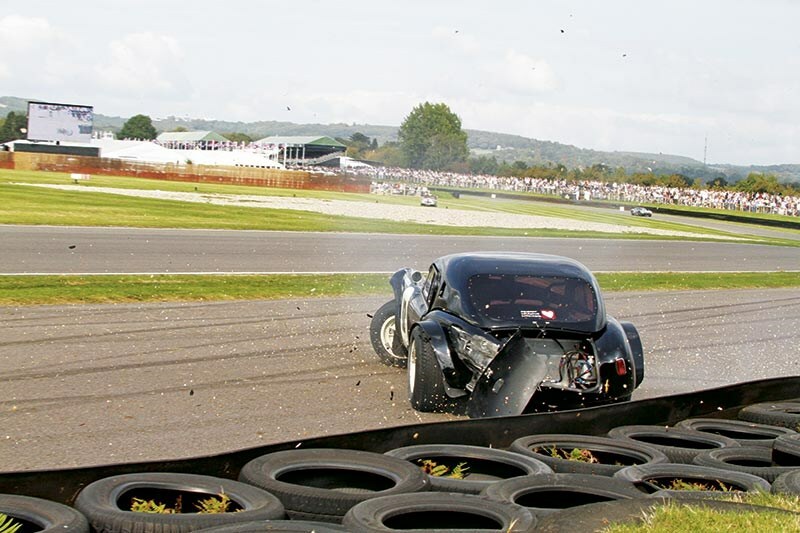 The opportunity to watch priceless metal being raced in anger is just part of the appeal of the Revival. 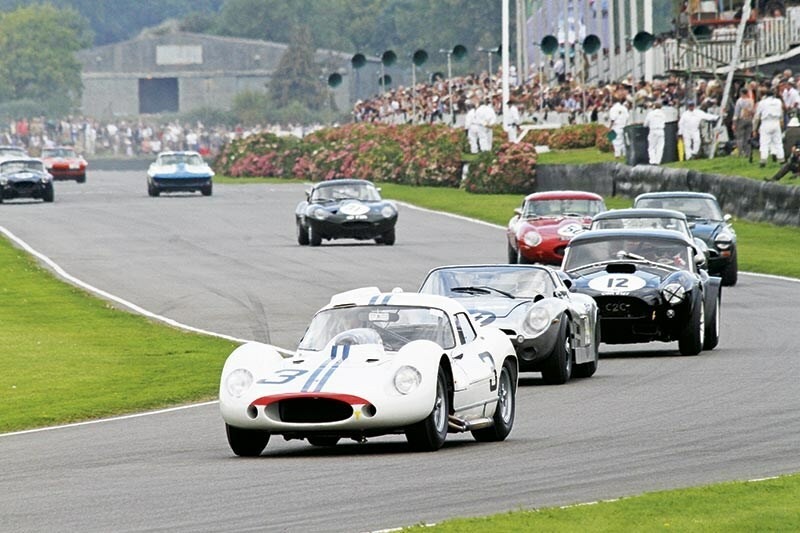 The Blue Riband event at the Goodwood Revival Meeting is the two-driver, hour-long, Tourist Trophy for closed cockpit GT cars of 1960 to 1964. This sees AC Cobras, Jaguar E-Types, Ferrari 250 GTOs and GTs mixing it with Aston Martins, Corvettes, a single Sunbeam Tiger and Maserati Tipo 151 and even a couple of ISO Bizzarrini A3Cs this year. This race attracts some top-drawer talent which, combined with big horsepower, old-school tyres and rear-wheel drive, results in armfuls of opposite lock through most corners. 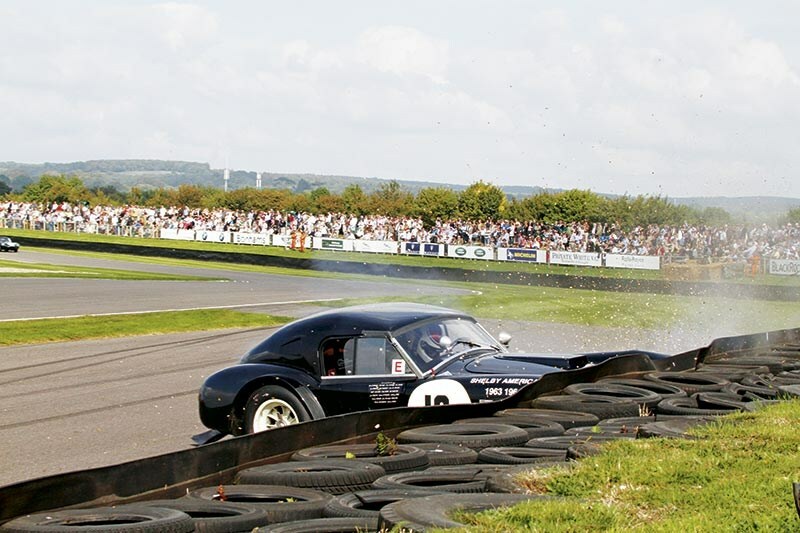 Sauber’s F1 test driver, Giedo van der Garde, displayed great racecraft at the start, swooping across the track in his AC Cobra from the dirty side of the track, to be on the inside line into Madgwick well before reaching the first corner. The racing was closely contested but clean, with good positions for some of the less represented cars. Second place went to the sole Maserati Tipo 151 of Derek Hill and Joe Collasacco, this in Maserati’s centenary year. 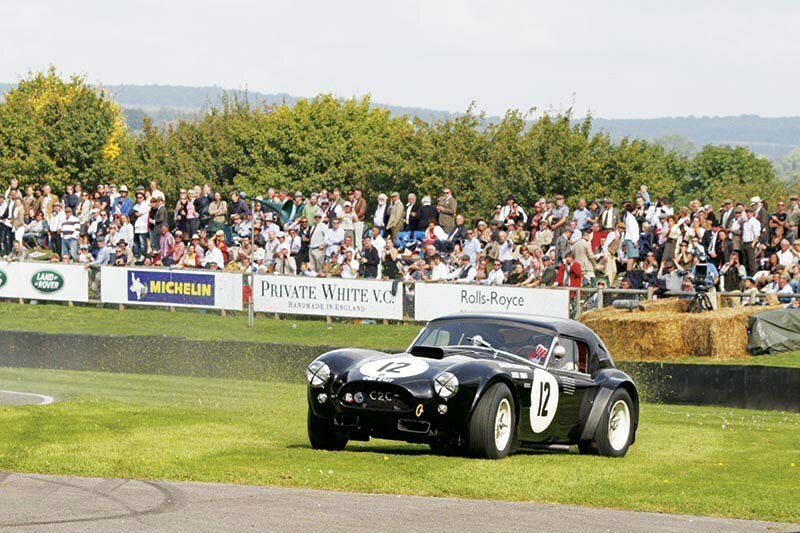 Van der Garde and David Hart claimed victory in the Cobra by ten seconds from the Tipo 151, with three E-types filling 3rd, 4th and 5th positions. 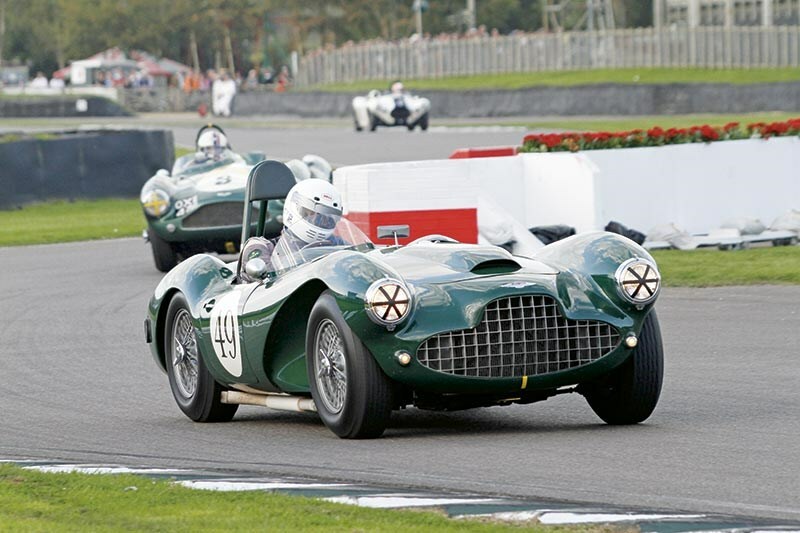 In the Freddie March Memorial Trophy, Sam Hancock’s Cunningham C4R led for the early laps before eased out by Darren McWhirter in his rare 1954 Lagonda V12 Le Mans. The weekend’s racing culminated in Andy Middlehurst claiming the Glover Trophy in a Lotus-Climax 25, holding off the challenge of James King’s Brabham-Climax BT7. 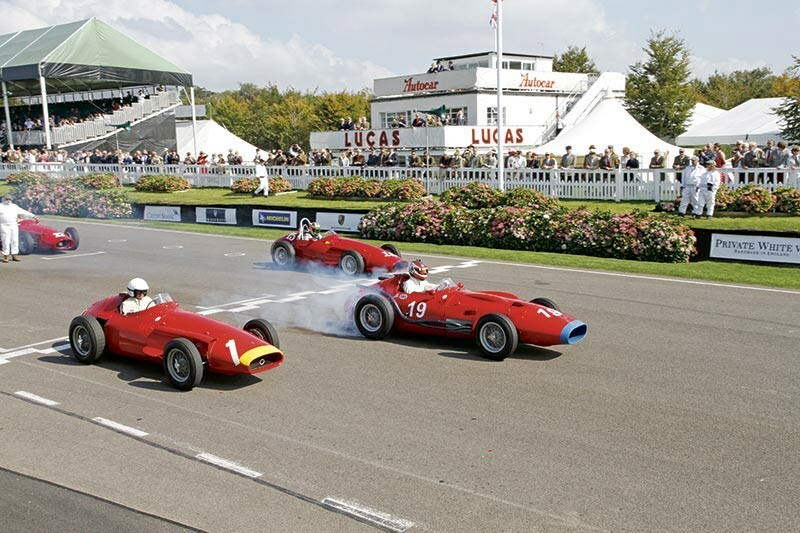 The Goodwood Revival Meeting has traditionally played second-fiddle to the massively popular Festival of Speed, but it’s enjoyed a boom in recent years. This ticket-only event was fully sold out, with 148,000 visitors enjoying warm and dry weather throughout. 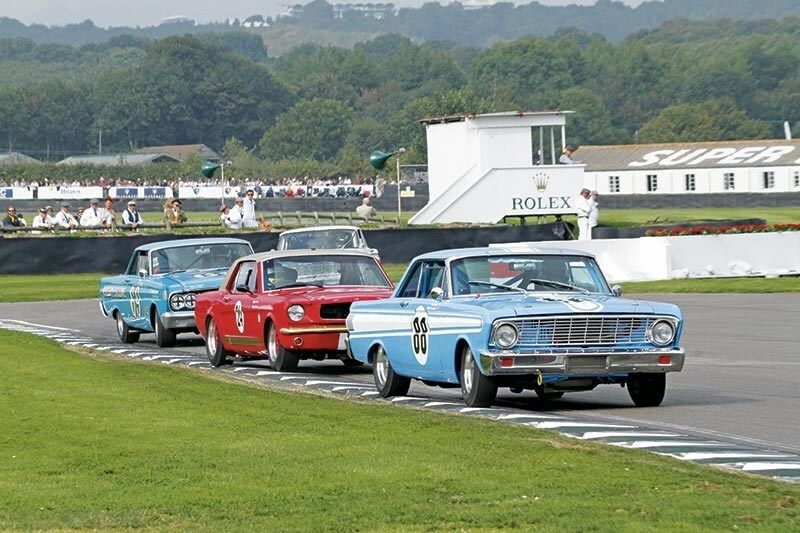 It may be a long trek to the south of England from Australia, but the whole pre-1966 atmosphere, fierce wheel-to-wheel racing and enthusiastic participation by the spectators makes the Revival weekend something rare and special. It’s not too early to start making plans for next year.